Rob's back on their IDW licensed comic kick, having been revamped by IDW's excellent panel at ECCC. 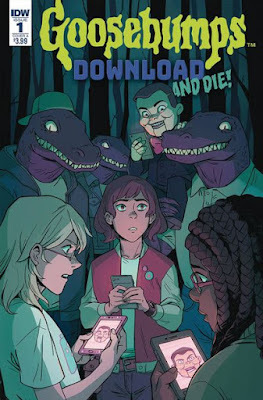 This one helps by being written by Panel Pal Jen Vaughn, who updates an older Goosebumps story by giving it the cell phone game treatment, which is a really cool idea. A trio of girls dealing with growing up find out that sometimes gifts are better left unopened. I don't really know the Goosebumps world--believe it or not, I never read a single one growing up!--but I do know good creepy, all-ages horror, and Jen plots it well. Wong and Farrell's art does a great job of taking a really talk-heavy set-up issue and keep it varied. I can't wait to see what they do now that things are ramping up! Scout is your average medical researcher, looking into captured and killed crypids, as one does. She also has asthma and a somewhat flighty assistant. When Scout's medical condition creates a workplace accident, it could change the pharmaceutical landscape forever. If anyone's left alive to tell the tale, that is! This mixture of a real-world issue--the way drugs are manipulated for profit--mixed with some good blood and guts work from Rodriguez and Carpenter looks to be yet another great series from Black Mask. I'm really impressed with their willingness to tackle social issues within their comics, not all of which are awesome, but this one looks good. Go get it! Shadowman wasn't one of the comics I followed closely when it first launched with Valiant, but I dig Punk Mambo, so I'm a little familiar with the set-up. I might have passed on this, but it's Andy Diggle, whose Losers series is still one of my all-time favorites, so I gave it a shot. 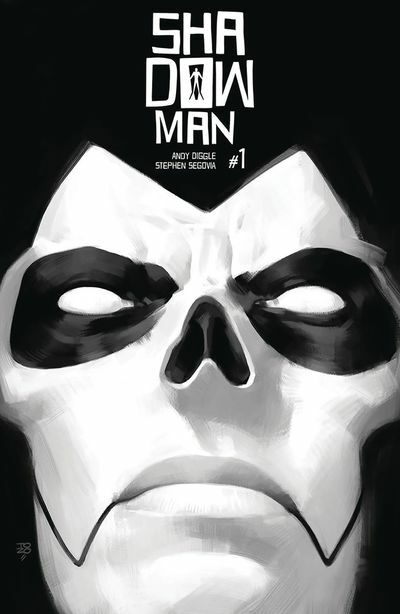 It's not a perfect comic--it feels like Shadowman should just be left to rot, but Constantine-like, people keep trying to help him--but Diggle handles the mystical horror aspects well, and the idea that he's possessed by a loa who is an outcast from the rest is intriguing. I especially want to call out Arreloa's coloring, which does such a great job of making things look mystical. I'm intrigued by where this one's going. 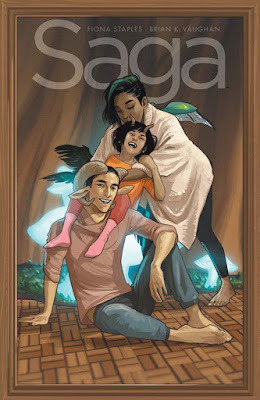 I probably don't ned to tell you that Saga is a terrific comic. It's been up and down over the years, but has never failed to be a compelling stry full of interesting characters, a ton of imagination, and consistently stunning (and sometimes shocking) art from Fiona Staples. I'm really enjoying the book these days, and Vaughan and Staples reaching their 50th issue is a milestone worth celebrating. 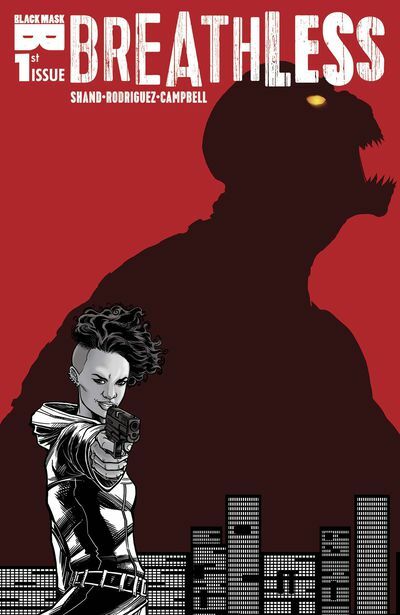 I'm pretty sure this is Brian Michae Bendis' very last Marvel comic before he heads on over to DC Comics. I still can't quite believe it; there's really no one more closely identified with Marvel comics in the 21st century than Bendis - certainly, I doubt there's anyone more prolific at Marvel during that time period and I assume it's not even close. 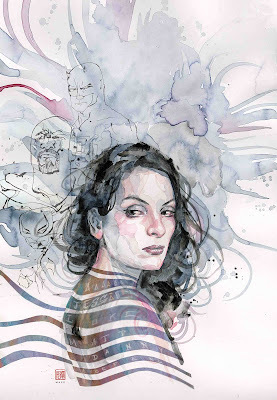 I haven't loved everything Bendis wrote at Marvel, but I've really loved a lot of it - New Avengers, House of M, Secret Invasion, Ultimate Spider-Man, Siege, and of course Alias/Jessica Jones. So...this series is nearly done and I'm still not quite sure what to make of it. It's been fun but also weird and sometimes more weird than fun. But I know there's a method to the madness, and I'm really curious to see how Snyder and Capullo bring it all together. I think I need to reread everything that came before, just so I can have a slightly better handle on the story. Let’s not lament the delay, nor the subsequent lull in momentum about Metal. To be fair, the series should have wrapped two and a half months ago. It’s frustrating. I get it. 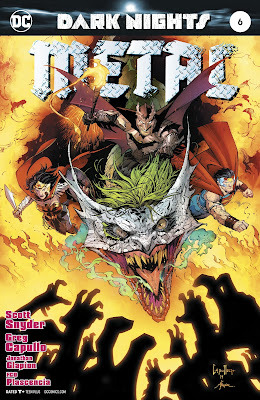 Let’s instead celebrate what Metal has given us: a payoff on ten years of Bat stories, a new DC mythos that breathes fresh life into the universe, and a zany-meets dark storyline that is some sort of Silver Age post-modern mutation of insanity. 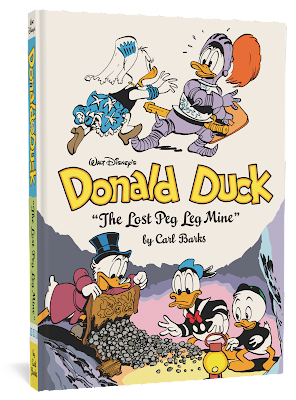 It’s easy to take these gorgeous collections for granted since Fantagraphics has published a half-dozen-plus editions of the Carl Barks and Don Rosa libraries. However, each offering in this series is not only a tribute to the genius of Carl Barks, but is a reminder of a bygone era when quality comics existed for all-ages audiences without compromising on either end of the spectrum, and when cartoonists created mainstream comics for mass audiences. Seriously, one guy did all of this. Look at how many names there are on Metal #6. Both Titan and Lion Forge have done great work bringing more Euro-comics to American Comic Shops. 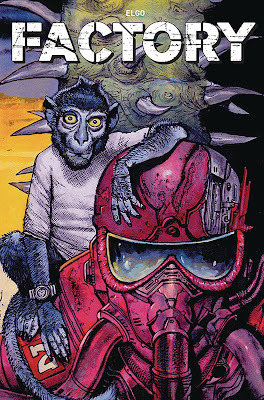 I love the sci-fi heavy aesthetic and far out artwork that tends to accompany British and Continental comics. These books usually provide a nice break from the typical American book without straying from the central conceits of genre books. Plus, Elghorri worked with Moebius and Jodorowsky.